Jeffrey Welch's Blog: Classic Cartoon Debate: Is Goofy a Dog? Classic Cartoon Debate: Is Goofy a Dog? The post Classic Cartoon Debate: Is Goofy a Dog? by Melvin Peña appeared first on Dogster. Copying over entire articles infringes on copyright laws. You may not be aware of it, but all of these articles were assigned, contracted and paid for, so they aren’t considered public domain. However, we appreciate that you like the article and would love it if you continued sharing just the first paragraph of an article, then linking out to the rest of the piece on Dogster.com. 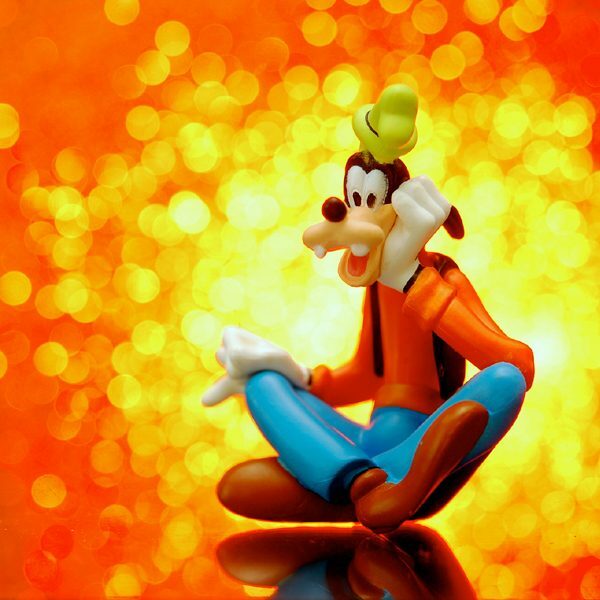 Since his creation in 1932, the Disney character Goofy has become a part of our shared cultural heritage. Like Mickey Mouse and Donald Duck, Goofy has long since transcended his appearances in any specific cartoon, series or animated film to become a global icon. Through numerous minor tweaks and adjustments over the decades — variations in costume, voice, personality and even family — Goofy’s laughter and essential charm endures after 85 years. One question about him, though, has lasted just as long: Is Goofy a dog? Is Goofy a Dog? First, the Basics. The question of Goofy’s species has bothered folks for decades. Photography via Pixabay. Is Goofy a dog? The question got stuck in my mind when I saw it took second place among Google’s Year in Search as one of the top dog-related queries of 2016. It seems like a strange question, maybe even counterintuitive. In the vast majority of his film appearances, Goofy’s got long, floppy ears and a recognizably canine craniofacial structure. What kind of dog is Goofy? As we start to answer the question, “Is Goofy a dog?” let’s examine his backstory. The brainchild of Walt Disney house animators Art Babbitt and Frank Webb, Goofy’s history began about a minute into 1932’s animated short, Mickey’s Revue. Originally named Dippy Dawg, the character began as an older, bearded bumpkin, whose lack of theatrical etiquette is a source of humor. Within two years of his debut, Goofy developed quickly, shedding first the beard, then his original name. From 1935 to 1940, Goofy began a run of classic cartoons with Mickey Mouse and Donald Duck that would cement his status. In the 1940s, Goofy experienced another pair of adjustments. Pinto Colvig, the original voice actor, abandoned the role for several years, during which time, Goofy went mostly silent. He starred in a series of “How to” cartoons featuring an omniscient narrator or recycled dialogue. These films were meant to have a broad, instructional appeal, and his name changed again, to “George Geef,” a kind of “John Smith” among cartoon animals. The Goofy and Pluto problem complicates matters. Photography by Loren Javier on Flickr.Some modifications may have been made to fit the specifications of this site. Used with Creative Commons License. By the 1990s, his name had settled in as “Goofy G. Goof,” which is no help at all in determining what sort of creature he is. In hindsight, if the creative team at Disney had kept a species designation as part of his moniker, we might not still be wondering whether he is a dog at all! One major source of discord when it comes to the question, “Is Goofy a dog?” — and to defining Goofy’s species — is his inconsistent relationship habits. When you start giving funny animals human characteristics, including personal and romantic lives, this kind of confusion is bound to follow. In the 1940s films, for instance, he had a wife and son, who made things more complex by looking almost entirely human themselves. The 1990s iteration, featured in the “Goof Troop” cartoon and “Goofy Movie” series, had a son, Max Goof, who at least bore a family resemblance. 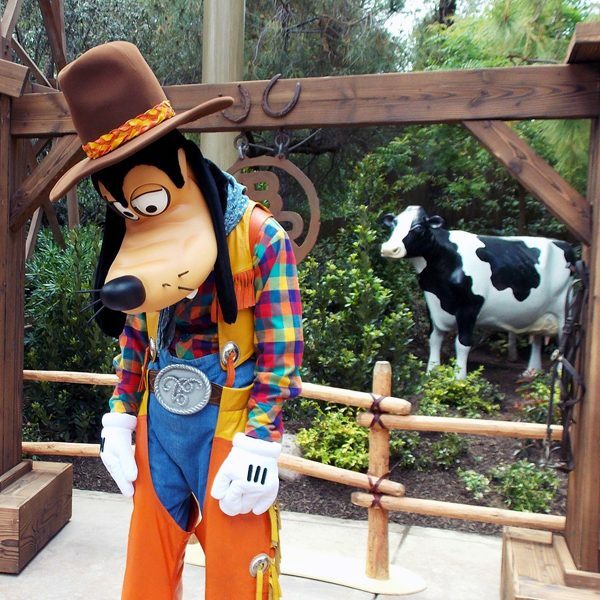 During a run of comic books based on popular Disney figures, things fell into further confusion for the fan community when Goofy began dating a cow. Clarabelle Cow, who predated Goofy in animated films dating back to the late 1920s, was a love interest for Goofy. Goofy’s inconsistent romantic life raises further questions. Photography by Jennie Park on Flickr. Some modifications may have been made to fit the specifications of this site. Used with Creative Commons License. She would return as a potential romantic partner in Disney cartoons that aired between 1999 to 2003. For most of her history, Clarabelle was linked to Horace Horsecollar. However, her on-again, off-again dalliances with Goofy through the years have led many fan conspiracists to speculate whether Goofy’s own heritage might be bovine as well. According to the fan-curated Disney wiki page, Goofy is a “tall, anthropomorphic dog,” so fandom, at least, is settled on its canonical interpretation. Beyond these official and semi-official references, the rest is left to our speculation and theorization. Physically, the length of Goofy’s ears and muzzle would suggest, along with his body size, the model to be a medium- to large-breed of dog. From a personality standpoint, his curiosity and willingness to try new things, along with his clumsiness, point toward a dog in the hound family. 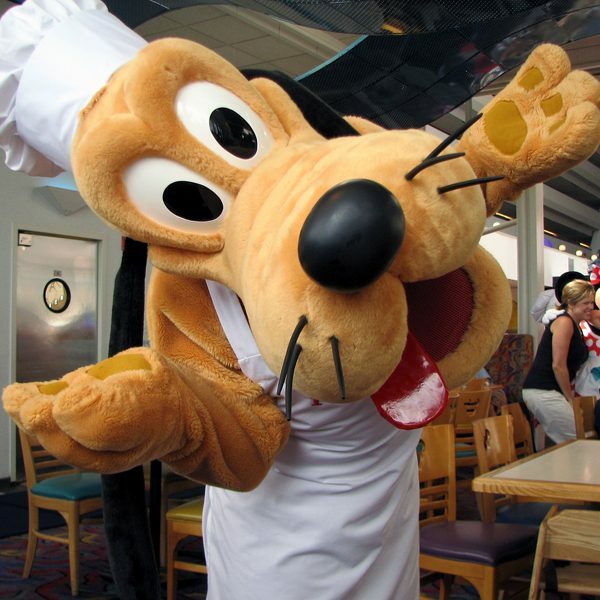 Another question that pops up when thinking, “Is Goofy a dog?” … If Goofy is a dog, what about Pluto? If there’s one thing that sticks in the craw of Goofy conspiracy theorists, it’s the confusion that arises at what we might call the Goofy/Pluto nexus. Most sites that dwell on the ambiguity of Goofy’s breed or species spend a great deal of time on this. 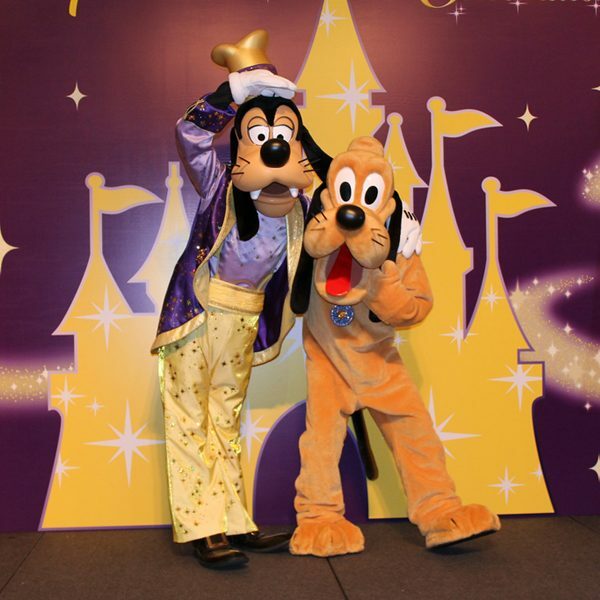 At the crux of the issue, people point out inconsistencies in the ways that Goofy and Pluto are treated as characters. For his own part, Pluto has no opinion. Photography by Ashley on Flickr. Some modifications may have been made to fit the specifications of this site. Used with Creative Commons License. If Goofy and Pluto are both supposed to be dogs, then why is one an English-speaking biped while the other barks and walks on all fours? Walt Disney himself provided all the clarity we could ask for when it comes to Pluto, having referred explicitly to Pluto as a “bloodhound.” As you might expect from any long-running character, this specific breed designation was later retconned as a “mutt” by Mickey Mouse himself in 1941’s Canine Caddy. Goofy is a talking animal! Does it matter what kind? One one level, anthropomorphized cartoon animals are pure wish fulfillment. If a magic fairy appeared before you, say, Merryweather from Disney’s Sleeping Beauty (1959), among the first things you’d ask for is that it grant your dog the ability to talk. Add in a down-home personality and a dash of regional dialect to your dog’s speech patterns, and you’d instantly be the hit of the neighborhood listserv, if not a viral sensation and talk-show staple. Long-lasting cartoon characters become life-long friends; sources of delight that you experience through the years and pass on to your own children. On the other hand, four score and five years of people trying to pin down Goofy’s species is a little troubling. You’d think a definitive statement would’ve been issued by this point, or that there’d be a global consensus among his adoring fans that would’ve caused the question to have long faded into obscurity. Why is the joy of having Goofy, in all of his incarnations and iterations, not enough? Why is it so important to pin him to a specific binominal nomenclature? To be honest, I spend a lot of time thinking about cartoons. Photography by JD Hancock on Flickr. Some modifications may have been made to fit the specifications of this site. Used with Creative Commons License. After all, cartoons offer us worlds of limitless possibility. In animation, animals wear clothes, have nuanced relationships, drive automobiles and hatch all manner of hare-brained schemes. When they’re very lucky, they also get theme songs that stick in our minds forever. 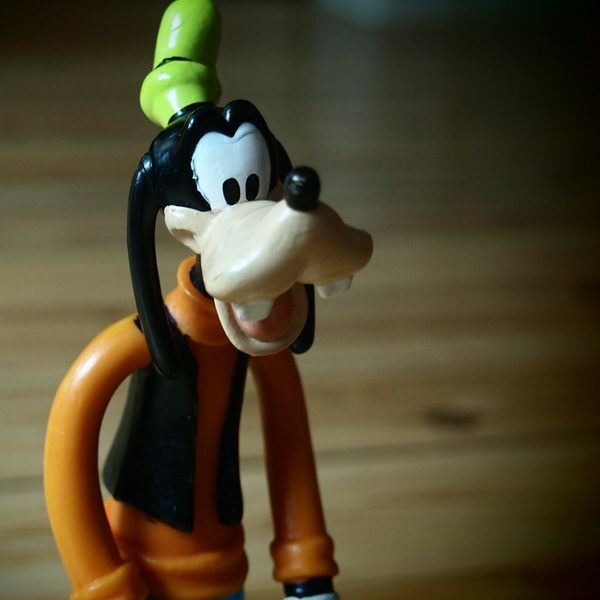 In the attempt to be a latter-day Linnaeus, the drive to classify and delineate a character like Goofy is also an effort to restrict and compartmentalize him. So, is Goofy a dog? Who knows! Maybe. Let Goofy be Goofy! Thumbnail: Photography by JD Hancock on Flickr. Some modifications may have been made to fit the specifications of this site. Used with Creative Commons License.